The Day of the Dead is a Mexican tradition. A day (+ Night) when the living get to celebrate life with the dead – a chance to let your spirit fly free. 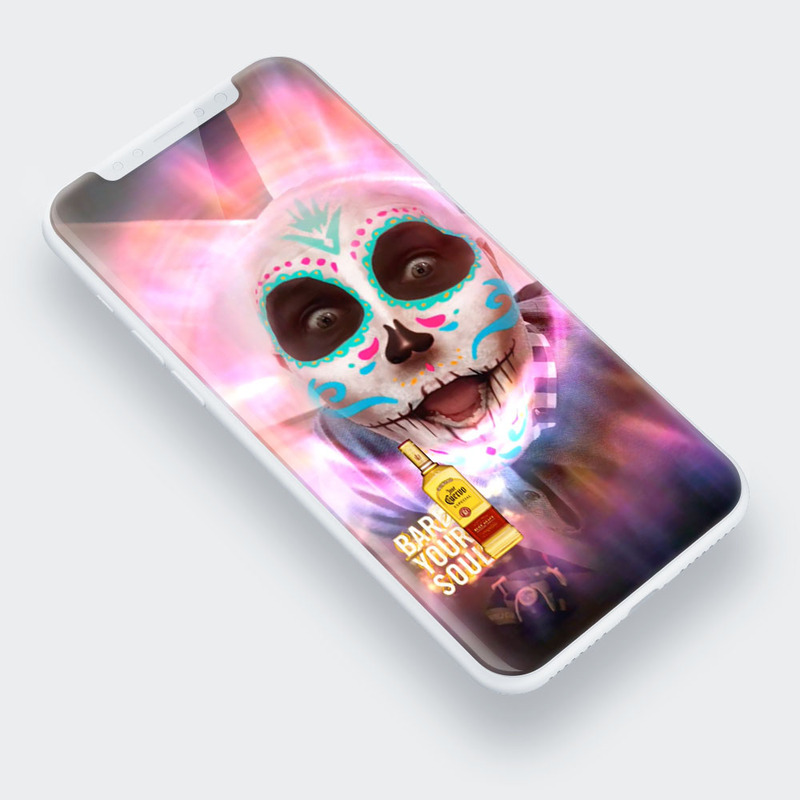 We created the ‘Bare your Soul’ campaign to celebrate both the free-spirited nature of tequila itself, and the cultural significance of Mexico’s iconic Day of the Dead. Jose Cuervo is Mexico’s biggest tequila, so it was only right that we created a campaign to honour Mexico’s biggest holiday. In the campaign imagery, we showed living people revealing their souls through expression and movement. The soul itself being depicted by a traditional Day of the Dead “calaca” made up of light and colour. We teamed up with Snapchat to design a bespoke Snapchat lens with eye-catching Day of the Dead filters. These went live in markets including Australia, Spain and Germany to mark the occasion but could also be unlocked worldwide as an exclusive lens published through secret parties, outdoor, social channels and point-of-sale. To mark the Day of the Dead itself, we rolled out a number of events in both Ireland and across Europe. 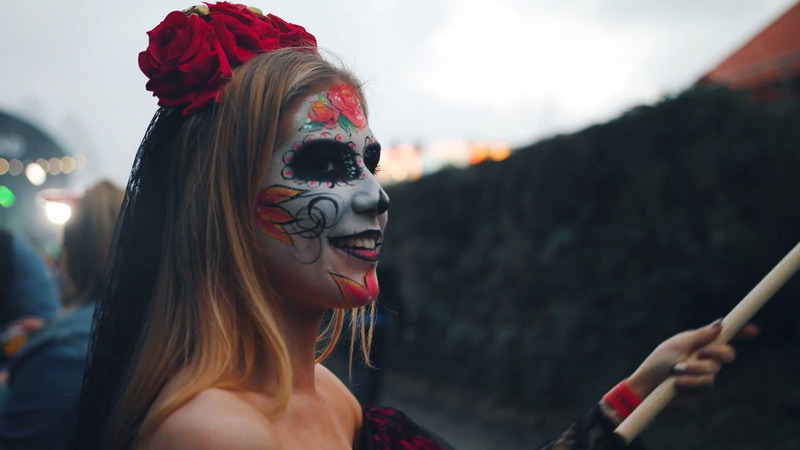 We kicked things off by commissioning and producing two Giant Jose Cuervo sugar skulls, which were used to demonstrate the scale of Jose Cuervo’s vision for the Day of the Dead experiential events. The first installation was in Berlin for the BCB convention. After a successful debut, the giant skull was shipped to Greece and other countries to be installed. Back here in Ireland, Jose Cuervo was the title sponsor for the Day of the Dead Festival. 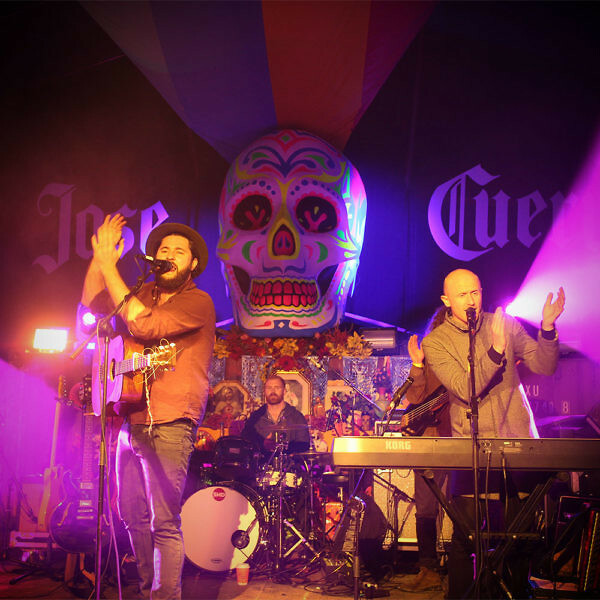 To make sure we truly owned this, we designed and built the main stage, with the focal point being our UV Jose Cuervo sugar skull. We supported the sponsorship through the bars, on the ground activation and merchandise, which incorporated our branding and Snapchat filter. To round off the celebrations, we designed and hosted a secret Day of the Dead party, hidden behind a busy Dublin street. This secret Mexican party combined all the elements of the festival, with our giant sugar skull as the pièce de résistance.